about this book: This is a story about a young man named Joey Sadowksi, finding purpose and power on another world as he sets about to stop a war. The title of the book is called Black Heart Phantasy. I came up with the name became that was what the hero in the story would later call his group of friends and other recruits. Ever since I was a little boy I was always fascinated with the world of fantasy and science fiction, and I thought "why not write a story with these elements?". 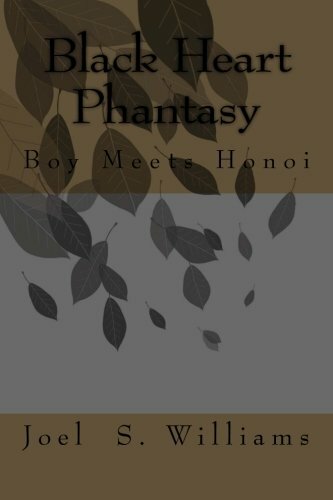 Also, the power system in the story, "honoi", is based on that used in various anime--I would say that most of my story is anime inspired, with my inspiration coming from Dragon Ball Z, One Piece, and a little fantasy on the side for the environments. I tried to put bits and pieces of my life experience in the story through the character Joey Sadowski, the main Hero. I didn't want to put to much thought, as I didn't readers to feel sorry for me, but for the character Joey Sadowski. I came up with the idea for the story when I was in high school at age sixteen. It took me three years to actually finish the book, and regardless of the responses I might get, I am very proud of my first piece of work. This book is for young readers, who I want to introduce to a new kind of storytelling. I think through all the hardship I face writing the book, the most difficult thing for me was to create individuality for each character. When writing my story, I didn't want to stretch it out with meaningless dialogue action. When I write, I want to get to the point as quickly as possible. I don't like wasting tome on a character's thoughts or scenery unless it is necessary. I would like to thank my readers for taking time out of their busy lives to read my work, and I can assure I have many other works to come.